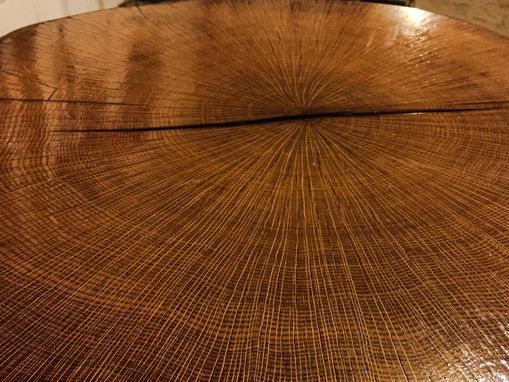 One of a kind live edge round table. 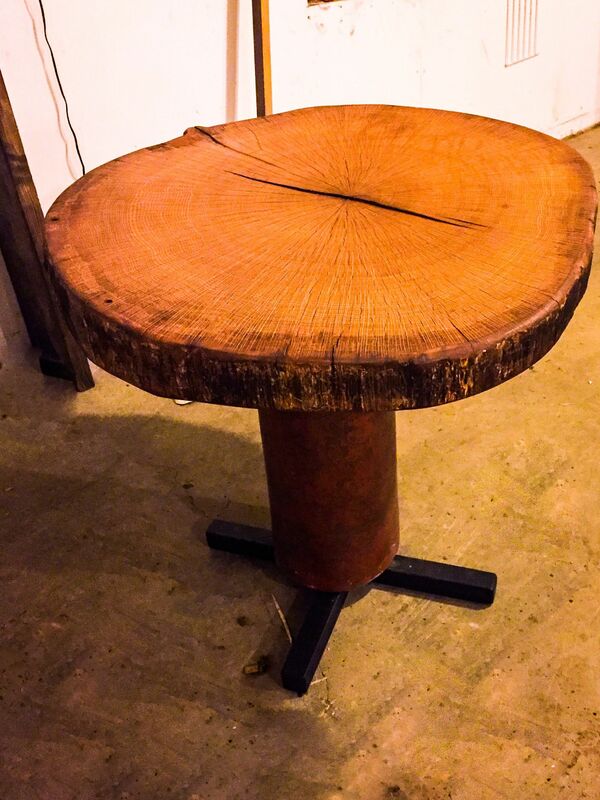 41 1/2 inch tall metal base with a ceramic surround holding a beautiful live edge 3 inch thick oak round. The unique base is a combination of steel and ceramic creating a perfect blend of rustic and modern styles. Definitely a stand out piece sure to add elemental interest to your collection. Round is hand cut 3 inch thick live edge. 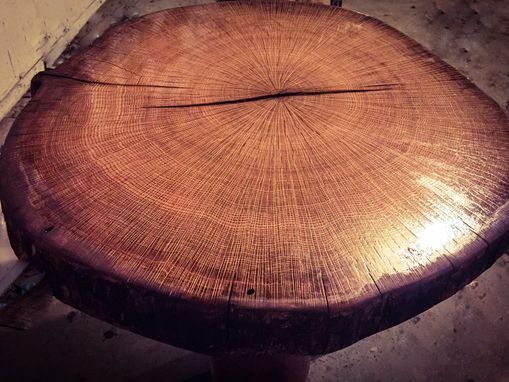 200+ year old oak sustainably harvested just before rot set in from the Midwest by witekwoodworking. Tree had been dead for three years giving it time to season. Live edge of the round has had all bark removed and tuned to minimize cracking. As you can see from the pictures this is a true round, not an egg shaped horizontal cut. you will see all the authentic character as this was cut at true 90 degrees.